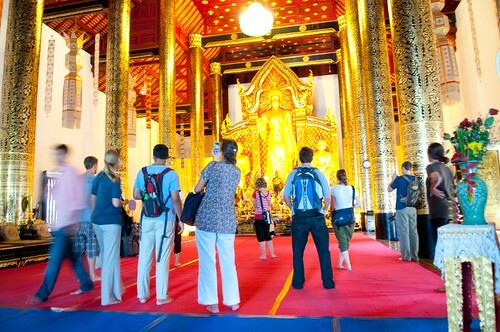 We understand that our volunteers want to make the most of the time that they spend on assignment in Thailand. To that end, we do everything we can to organize dates and schedules that are practical, convenient and effective. That aside, the volunteer project sites placements have their schedules to attend to. Sometimes, last-minute changes at a leaves us no choice but to relocate a volunteer to another site at the last minute. Flexibility and understanding of this scheduling will go a long way to being comfortable in Asia. In both Bangkok and Chiang Mai, high season lasts from December to February. This is the high tourist season (but not FFA’s busiest), and guesthouses and hotels raise their prices accordingly. FFA’s project fees remain the same throughout the year. Songkran – Epic in Chiang Mai, but equally as fun and worthwhile in Bangkok, Songkran has evolved into citywide water fight that lasts for three days (April 13 through 15). This should be on everyone’s bucket list. Loy Krathong – Compared to Songkran, Loy Krathong may come off as subdued, but by any other standard this festival of lights puts on about as brilliant a show. The festival coincides with the full moon, so dates vary accordingly. In Chiang Mai the celebration takes place over three days, with most activity after dusk. In Bangkok there are spectacular displays as well, and lots of fireworks, streetside concerts, launching of sky lanterns and offerings into the rivers, and of course amazing street food. Good times. Visiting during a major festival is a spectacular way to enhance your volunteer experience. Just bear in mind that businesses close so that friends and families can spend time together during these major events. Count on volunteer schedules being disrupted during holidays like this. That only gives you the opportunity to enjoy the festival to its fullest. The minimum volunteer and internship duration is two weeks, though many volunteers stay longer. The only exception to this would be our Elephant Camp Project, which now has a minimum duration of only one week. Officially, we are equipped to accommodate assignments of up to six months. Our busiest months at Friends for Asia are June, July and August. We host people from all over the world, so even the time you spend in the volunteer house will be a cultural experience. All of our projects have official intake days. Project start dates fall on the first and third Mondays of each month. We host a mandatory orientation on the Saturday and Sunday before each start date. This gives us a chance to get to know our volunteers and get them up to speed on basic Thai language and culture before they plunge into their assignment. We ask volunteers to arrive on the Friday before their project start date anytime between the hours of 8 a.m. and 8 p.m. (Thailand time). Volunteers who arrive before Friday and book their own accommodation can arrange for an FFA volunteer coordinator to pick them up at their guesthouse or hotel, so long as it is located reasonably close to town. School projects are available from mid-May to the end of September, and again from November to the end of February. We don’t recommend starting a teaching project in mid-September or mid-February, as this is when students are testing. However, we can still arrange positions during these periods if this is the only time a volunteer can come. Volunteers who opt to teach during these periods should plan on helping with exams. 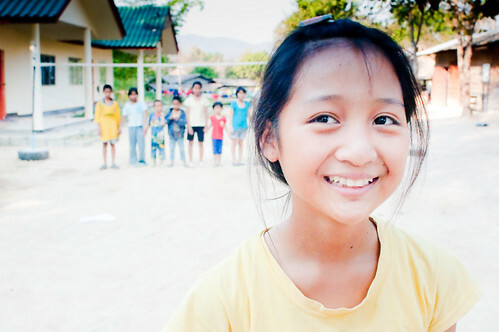 The Orphanage Project in Chiang Mai is only available during the first two weeks of each month, with no exceptions possible. Medical internships need to be booked at least five weeks in advance of the start date to give the hospitals time to prepare. The following are the 2018 start dates for non-teaching projects. The following are the 2018 start dates for teaching projects. There are fewer start dates for for our teaching projects due to school year breaks. The following start dates are for our English Education, Teaching Monks, Kindergarten Teaching, International University for Monks, and Low-Cost / Rural Schools Teaching Project.